Wow-home alert! "No expense spared" custom dream home in Lakewood&apos;s prestigious Turnberry community is truly a must see! Enjoy a super functional floorplan featuring 5,400 sq. 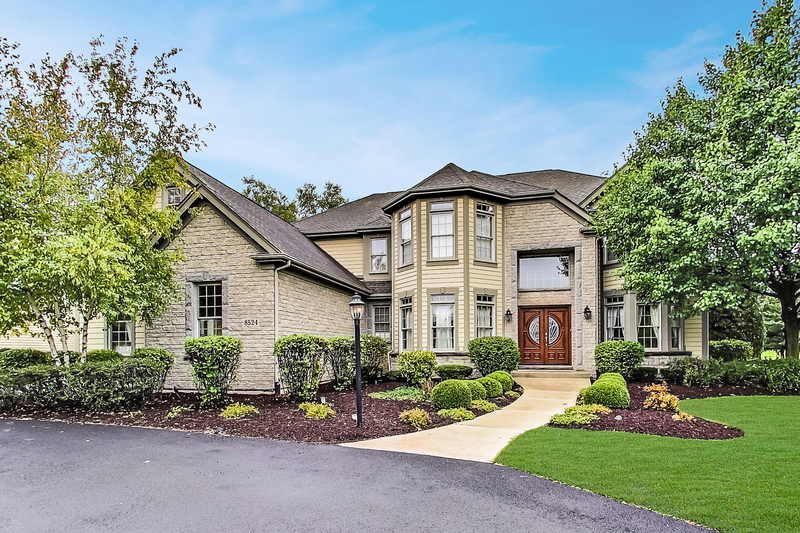 ft. of preferred living, custom built-in&apos;s, gorgeous millwork, in-ground pool, rare fenced yard, dual driveways (circular/side-load) and so much more. Main level features includes gourmet island kitchen, custom maple cabinetry, granite tops, upgraded appliances, W/I pantry, mud room, laundry room, oak/iron dual staircase, den/office and a stunning 2-story great room with floor-to-ceiling stone fireplace. Upper level features 2 sep. BR suites including luxurious master with huge W/I closet & 3rd/4th bedrooms w/Jack-n-Jill Baths. Lower level is outstanding and will certainly seal the deal with its fully equipped media room, fully applianced 20&apos; custom circular bar, exercise room/5th BR, full bath & more! See the 3D Tour & be sure to ask for the Supplemental Feature Sheet that highlights all 100+ property features!